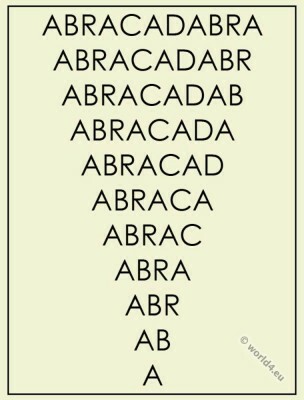 The Magic word Abracadabra as protective spell. Home » The Magic word Abracadabra as protective spell. 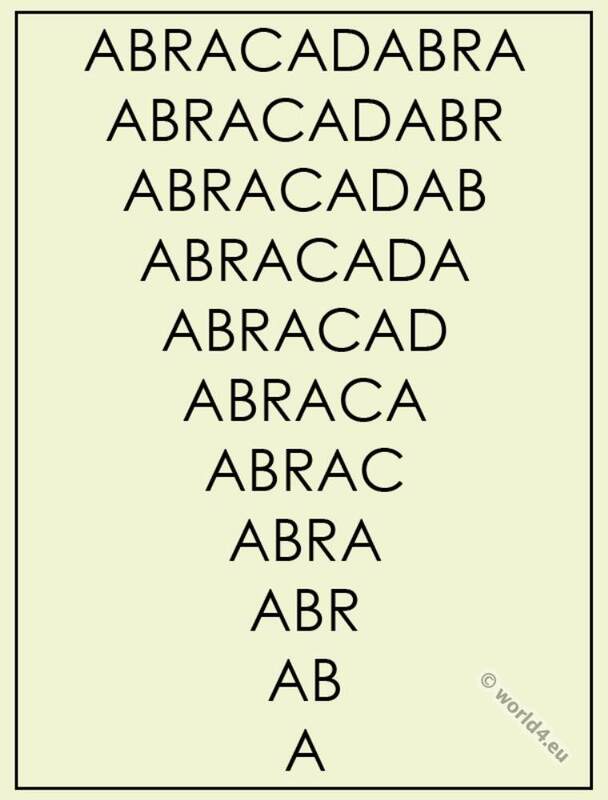 Abracadabra is regarded as the word that in most languages has the same pronunciation. It is a common term as a magic word which is already in late antiquity may Hebrew, Arabic, Persian or Roman origin. be written on parchment, and suspended round the neck by a linen thread, in the form given above. This entry was posted in Ancient, Genre and tagged World Theater on 6/3/15 by world4.